We are using indicative rates to demonstrate the savings that can be made. We use these rates to give you an indication as you may decide to send your funds via a priority or regular payment. You may even choose to send multiple payments from your E-wallet. Please see our very transparent fees section for further information. Tell us what you want to transfer and we will give you the best exchange rate possible. Subscribe to a variety of emails containing useful currency information and analysis. Which updates would you like to receive from us? Excel Currencies ltd are fully registered by both the FCA (Reg No:540484) and HM Revenue & Customs (MSB No: 12190705) as a Money Services Business. Excel Currencies ltd are also members of the UK Money Transfers Association (MTA) and the Association of International Property Professionals (AIPP). Excel Currencies ltd operate a Safeguarding Client Account System which protects all funds in these accounts against any liabilities that Excel Currencies ltd may have. These accounts are held with Barclays Bank plc and each account is segregated individually. Copyright © Excel Currencies Ltd 2019. All Rights Reserved. Our goal is to give you a trouble free user experience. However, on occasion you may get stuck or the system may encounter a temporary error. If this happens please either call us, switch on the ‘Help Wizard’ or speak to one of our team via the live chat button. The Team @ Excel Currencies are here to help! First, we need to get you to the right section. What are you sending money for? Less than 1 minute from here to complete our streamlined registration process. Are you sure you want to cancel this Payment? Provided Information is not Valid. 1. These conditions set out the terms upon which contracts (Trades) for the sale or purchase of foreign currency between you (you, the client, clients) and us (Excel Currencies, Excel Currencies, Enterprise House, 8 Essex Road, Dartford, Kent DA1 2AU), we, Excel Currencies will be undertaken. 2. You may only become a client (or in the case of joint or multiple applicants; clients) with our agreement. You must complete a Trading Agreement Form and return it to us in hard copy or you can complete a Trading Agreement Form via our website www.excelcurrencies.com. When you sign the form in hard copy or "tick" the "I accept" button on the website you are agreeing to abide by these terms and conditions and requesting us to accept you as a client. To do so we must verify your identity to our reasonable satisfaction and may ask you to provide us with documentation.We are obliged to comply with The Money Laundering, Terrorist Financing and Transfer of funds ( Information on the Payer ) Regulations 2017 and specific exchange control requirements of HM Revenue & Customs.In order to carry out these obligations and requirements, we may undertake electronic or automated searches. Clients acknowledge and agree that any details provided to Excel Currencies regarding identity and the purposes of any Trade may be submitted to credit reference and other information agencies for clearance. These agencies may keep a record of your information. The client accepts that such personal data will be processed for and on behalf of, or by Excel Currencies, in connection with these clearance requirements. 3. Clients agree to supply information reasonably requested by Excel Currencies promptly. Clients warrant that the information they give in relation to their identity and the reasons for their intended Trade is accurate and that the Trade does not breach any laws or regulations. We are not permitted to send any funds to you or as you direct until we are satisfied as to your identity.If at any time, we are not satisfied as to your bona fides we may, at our absolute discretion, withdraw your status as a client. Once accepted by us as a client you will be provided with a Client Reference Number (Member ID) which must be used in all future transactions.You may authorize someone else to act on your behalf but such authorization must be given in writing to Excel Currencies and at Excel Currencies's discretion to accept or reject. Where clients apply for joint client accounts then Excel Currencies shall be entitled to accept instructions from one as being instructions for both and advice or information given to one of the joint clients shall be deemed to be given to both.Joint customers shall be jointly and severally liable for any sums due to Excel Currencies under the terms of this agreement. 4. Clients may contact us (giving their name and Client Reference Number and any other information about their identity and the purposes of their instructions as we may reasonably require) to ask Excel Currencies to provide facilities for the buying or selling of currency (money or other medium of exchange). Each request for Trade (Trade Request) forms a separate contract for services between the client and Excel Currencies. We may accept written or verbal instructions to Trade (by fax, post, e-mail, recorded call or online instruction through the Excel Currencies online electronic platform). However, if we do so, such Trades are made in good faith by us and we shall be under no duty to challenge or make enquiries concerning written instructions, which we genuinely believe originate from and express the client's wishes. We may, at our absolute discretion and without giving reasons, refuse any Trade or Trade Request whether received by telephone or through written instructions. 5. We will provide you with information about proposed exchange rates and the total price payable on the Trade requested by you.If the exchange rate is acceptable to you and you confirm the Trade Request at that exchange rate (including any other costs or sums payable) then, should we accept your Trade Request, a contract for the sale or purchase of currency will have been made between us. Once an exchange rate quote is accepted by a Client then this forms a legally binding obligation and commitment to the Contract by both Excel Currencies and the Client. Other costs may be deducted, see clause 18 below. 6. Excel Currencies will use its reasonable endeavors to complete a Trade once your Trade Request has been accepted.However, no liability will be accepted by Excel Currencies in regard to any reasonable delay in completing the Trade or in respect of Force Majeure. 7. Force Majeure: If Excel Currencies are unable to perform any of its obligations under these terms in regard to any Trade because of factors beyond its control such as, but not limited to, acts of God; fire, flood, earthquake, wind, storm or other natural disaster; war, threat of war, armed conflict, sanctions, embargos, breaking of diplomatic relations, terrorist attack; chemical or biological contamination; sonic boom; changes in law in any relevant jurisdiction; explosion or accidental damage, collapse of buildings or structures; failure of computers; labour disputes; non-performance by third parties; interruption or failure of utility services, provided that it has complied with all other provisions, Excel Currencies shall not be in breach of this agreement or any trade and shall not be liable for any failure or delay in the performance of its obligations. 8. Once a contract has been made between us it may not be altered, cancelled or rescinded by the client without the express written consent of a director of Excel Currencies. All communications will be made with clients on the phone number(s) or email address (es) provided by you. You irrevocably agree to service of any document at your nominated address.We provide you with the information requested of us under sections 7(1) and 7(2) of the Financial Services (Distance Marketing) Regulations 2004. As such you do not have a right of cancellation under EU distance selling regulations, and your acceptance of these terms signifies your understanding that this right of cancellation is not applicable. 9. Excel Currencies send clientâ€™s confirmation of accepted Trades (Contract Note) which includes remittance advice details for monies owed by the client to Excel Currencies and an onward payment instruction completed online by the client. Onward payment instruction forms must be completed online by the client by logging into the Excel Currencies online system. When you sign the contract note in hard copy or "tick" the "I accept" button on the website you are agreeing to abide by these terms and conditions and requesting us to accept your rade as a contract entered into. Whether or not clients receive a Contract Note a contract has been made upon acceptance by Excel Currencies of a request for Trade at the agreed exchange rate. Once a contract has been made clients are liable for the full sums due on the due dates. If you have not received a Trade Confirmation via email and/or SMS within 24 hours of your telephone call or communication to Excel Currencies and you would like one, then please contact Excel Currencies by telephone within 48 hours of the contract having been made. A Contract Note is not evidence of the terms of any Contract but a confirmation for your records. If you notice any inaccuracies please advise Excel Currencies immediately . Alterations cannot be made after a Trade Request is accepted. The Client agrees that all telephone conversations are recorded by Excel Currencies as part of our regulatory responsibilities and may be used by Excel Currencies as and when required. All Trades and Exchange Rates booked online or over the phone with an Excel Currencies Dealer represents a binding contract between Excel Currencies and the Client and cannot be changed or cancelled by either party unless agreed to in writing by both parties. 10. A Trade means each transaction to purchase and deliver currency for a client including, but not limited to, a Spot Contract and a Forward Contract. A Spot Contract means a transaction where the Value Date (which means the date stipulated by Excel Currencies for each trade on which the currency transaction matures) is two (2) Working Days after the date of instruction. Excel Currencies will purchase the currency or sell currency for delivery immediately once an exchange rate is fixed online or through an Excel Currencies FX Dealer. A Forward Contract is a transaction where the Value Date is later than two (2) Working Days after the instruction is accepted. A Working Day means any day between the hours of 08.30 and 16.30 when the clearing banks are open for business in England. No alterations or variations to the terms of the contract shall be accepted without the written consent of a Director of Excel Currencies. 11. There are two types of Forward Contract which are: a) Fixed Term Forward Contract: these comprise trades at fixed exchange rates for delivery at a specified date in the future, a Fixed Term Forward Contract guarantees an exchange rate for the delivery of the currency on a specified date in the future, and b) Time Option Forward Contract: a Time Option Forward Contract allows the currency to be made available between two predetermined future dates. A Time Option Forward Contract allows clients to draw down in full on the Trade within the designated dates. In both cases, the rate is fixed in advance. 12. Once a Fixed Term Forward Contract or a Time Option Forward Contract has been entered into (under the procedures set out above) no alterations or variations to the terms of the contract shall be accepted without the written consent of a Director of Excel Currencies. At Excel Currencies's absolute discretion a Director of Excel Currencies may agree other types or combinations of Trades with a particular client. Such discretion is determined on a Trade by Trade basis. Excel Currencies cannot guarantee to buy currency at any particular value or level. Where Stop and Limit Trade levels are agreed, Excel Currencies shall use its reasonable endeavors to place orders at the agreed levels but due to market fluctuation no guarantees can be given. Excel Currencies cannot guarantee to achieve Interbank rates on any Trade. Stop and Limit Trades are contracts where currency is bought or sold at a date in the future where the conditions precedent for the Trade becoming effective are agreed between us at the date and time the order is placed. Stop and Limit Trades are used where clients want to protect against adverse market changes. For the avoidance of doubt, clients should be aware that the value of currencies can fluctuate at any given time, and such fluctuations are beyond the control of Excel Currencies. Once a Trade and Exchange Rate are fixed then these cannot be cancelled by neither Excel Currencies nor the Client without written consent from both parties. 13. Excel Currencies reserves the right to cancel or amend any transaction resulting from but not limited to the following: technical faults with the online system, miscalculations, mispricing of exchange rates or any other reason whatsoever resulting from technical issues with the online system. 14. In the event of a Spot Contract, the client shall pay all sums due into Excel Currencies's nominated bank account on such date or dates as Excel Currencies might direct but no later than 12 noon on the second Working Day after the relevant Trade has been accepted by Excel Currencies. Time shall be of the essence in relation to such payment. 15. In the event of a Forward Contract, and where the client has not already done so, the client shall pay into Excel Currencies's nominated bank account, within two (2) Working Days of the contract coming into place, in cleared funds, a deposit of 10% of the full amount agreed for the Trade (or such other sum or percentage as Excel Currencies may specify/notify prior to the contract coming into place). Excel Currencies reserve the right to alter the percentage of the deposit requested up or down on a Trade by Trade basis. All outstanding balances must be paid to Excel Currencies no later than 16.30 on the working day immediately preceding the maturity date of the Trade. Time shall be of the essence in relation to such payment. 16. If Excel Currencies accept instructions from the client for a "same day" Trade, the client shall pay all sums due to Excel Currencies by no later than the time stipulated by Excel Currencies at the time the contract was made. All payments due and paid by the client to Excel Currencies pursuant to these terms shall be made without set-off, counterclaim or deduction whatsoever. Payment is not contingent on any event and for the avoidance of doubt is not conditional upon the client receiving a Contract Note. 17. Any deposit provided by the client will be held by Excel Currencies in a designated clients account. The client remains the beneficial owner of any deposit monies until such time as the Trade is complete and/or Excel Currencies incurs costs, losses, damages or other liabilities relating to or in connection with the Trade. Whether or not the Trade completes, Excel Currencies shall be entitled to set-off against the deposit monies in relation to any costs, damages, losses or other liabilities of the client against Excel Currencies, whether related to the specified Forward Contract, any Trade or otherwise occurring. It is your responsibility to maintain the value against future Trades at an appropriate level. We will notify you by telephone or email giving notice of any increase required, and such further monies must be received by Excel Currencies in cleared funds within one (1) working day. We will close out the Trade, even if you incur losses, if you do not respond within the timeframe given. Time being of the essence in this matter. It is for you to check your phone calls or emails. No liability will be accepted by Excel Currencies for any losses, costs, damages or expenses incurred by clients as a result of any actions by Excel Currencies necessitated under this provision. If losses are incurred by the Client then Excel Currencies reserves the right to puruse legal action to recover the full cost of any losses (including legal costs). 18. Neither cheque nor cash payments (unless instructed by the Excel Currencies system for specific low value amounts) are accepted by Excel Currencies and remittance by this method will result in increased administration costs to the client. The client will be charged an administration fee of Â£200 for the return of any cash payments, or cheques returned or shredded, at our discretion. In addition Excel Currencies shall be entitled to claim all losses, costs and expenses for the termination of any Trades on an indemnity basis. No Trade shall take place and no delivery of onward sums shall be made until Excel Currencies is in receipt of cleared funds. Clearance shall be deemed at the absolute discretion of Excel Currencies. The client should allow at least five (5) Working Days for funds to clear. Some banks have specific times when receipt and dispatch of electronic payments are permitted. Excel Currencies accepts no responsibility for and shall have no liability to you in respect of any delay in onward payment attributable to the late arrival of funds or instructions received after the specific bank's designated times in respect of electronic payments. Payments made by means other than telegraphic transfer will incur delays in clearing and Excel Currencies assumes no responsibility or liability whatsoever in regard to such clearance periods and may, if it incurs any losses, costs or damages arising there from, make equivalent claims for indemnity from the client. 19. Excel Currencies will deliver all purchased currency in regard to any Trades by electronic transfer to the designated onward account specified by the client to Excel Currencies. If Excel Currencies is not in receipt of satisfactory onward payment instructions from the client, or those instructions cannot be complied with for any reason, then Excel Currencies shall accept no responsibility and shall have no liability in respect of any delay or failure of such payment, save for the earliest reimbursement to the client of any sums due and owing. 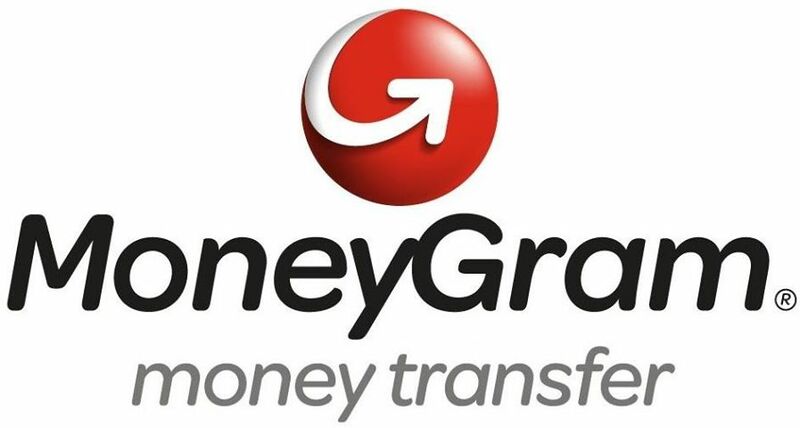 Any bank or other third party charges accruing for such transfers are the absolute responsibility of the client and monies may be remitted net of such charges. You should make your own enquiries as to such charges and Excel Currencies accepts no liability for shortfalls arising there from. We will deduct from any monies held on your behalf the equivalent sum charged to Excel Currencies for such transfers, whether related to the current or previous Trades. 20. If the client fails to make the required payments (deposit or balance sums) on or before the due date or the Value Date (whichever is the relevant date to that Trade) or if Excel Currencies are obliged for any other reason to cancel or terminate the Trade, then Excel Currencies may be obliged to enter into a matching trade. In these circumstances it is possible that Excel Currencies will incur a loss, damage or expense and if it does so then you will be charged for any such loss on the Trade. Excel Currencies also reserves the right to make an additional administration charge of up to Â£200 in the event of such matching Trade being deemed necessary (at the absolute discretion of Excel Currencies). In addition Excel Currencies may counter charge clients legal costs of up to Â£200 without reference to any court procedure or court awarded costs. 21. In the event of cancellation or termination, whether by Excel Currencies or the client, the client may forfeit part or all of any deposit or monies provided to Excel Currencies for that Trade. You hereby authorise Excel Currencies to deduct from or add to any future Trade instructions from you any sums charged or incurred by you for previously cancelled or terminated Trades. We may set-off any sums due from you to Excel Currencies under these terms and conditions from any monies received from or due to you. In addition we may, at our absolute discretion, charge interest at 8% per annum on a daily basis on any sums unpaid from the payment due date or Value Date (whichever is the relevant date) until cancellation of our losses by way of a matching trade. If Excel Currencies hold client monies for any purpose Excel Currencies do not pay and clients are not entitled to interest on any monies so deposited. Any unused balance of funds held on the client's behalf (after permitted deductions and set-off) will be refunded to the payee account of the client as soon as reasonably practical. 22. Failure to pay on time may be treated as a termination of the Trade by Excel Currencies with the consequent right to recover costs, losses, damages and expenses as set out under these terms. 23. Excel Currencies shall not be held liable for any loss or damages suffered by the client (or any other party) as a result of Excel Currencies's acceptance or refusal to accept a Trade Request. 24. The client is solely responsible for supplying accurate and up-to-date details to enable Excel Currencies to undertake a Trade, including but not limited to, contact information, Trade Requests and onward payment instructions. Excel Currencies relies on the client acting in the utmost good faith. The client shall, on a fiduciary basis, notify Excel Currencies of any changes to status and residency and any other changes, to information which may be reasonably required by Excel Currencies to transact the services. 25. Charges. For each Transaction that you submit, you agree to pay Excel Currencies a service fee (the "Service Fee") plus the Transaction Amount.The service fee may be zero in certain instances. Additional charges may apply. Payment is due at the time your transaction is submitted for processing. Excel Currencies accepts payment in the currency shown to you on your transaction deal ticket. This currency is clearly made available to each client before you complete the transaction. If you submit a transaction that results in Excel Currencies being charged with NSF (not sufficient funds) fees, chargeback fees, or other similar fees, you agree to reimburse Excel Currencies for all such fees. In some instances, for Transactions funded from the Sender's bank account, you agree that Excel Currencies may charge your bank account for less than the amount of the transfer (i.e., for a transfer of Â£300, Excel Currencies may debit the bank account for Â£299.98), as part of our effort to confirm ownership of the account. 26. Payment. You will pay funds to Excel Currencies via (EFT) electronic funds transfer or telephone banking. In order for Excel Currencies to collect payment from you should it be required, you authorize Excel Currencies to access, charge, or debit funds from any of the payment instruments you provide to us in connection with your use of the Service (each, a "Payment Instrument" including, for example, your credit card, debit card or bank account). If your payment fails or is insufficient, you authorize us to re-try one or more times using the same or a different Payment Instrument. For example, if there are insufficient funds in your bank account at the time you submit your Transaction, we may try to debit your bank account or charge your credit card at a later time. You represent and warrant that you are the lawful owner of your Payment Instrument(s). 27. Other Charges. Excel Currencies is not responsible for any fees or charges that may be imposed by the financial institutions associated with your Payment Instruments. For example (without limitation), some credit card issuers may treat the use of your credit card to use the Service as a "cash advance" rather than a purchase transaction, and may impose additional fees and interest rates for the transaction. Excel Currencies is not responsible for any insufficient funds charges, NSF fees, chargeback fees, or other, similar charges that might be imposed on you by your bank, credit card issuer, or other provider. 1. Service Providers. We work with local banks, money exchange houses, and other third party service providers (each, a "Service Provider") to pay funds out to Recipients. You, in your capacity as a Sender, hereby appoint your Recipient as your agent for the purpose of receiving funds in connection with the Service. We attempt to provide up-to-date information on our website regarding the location, availability, and hours of our Service Providers. However, you agree that Excel Currencies is not responsible for any inaccurate or incomplete information that may be posted on the site. 2. Verification. Recipients may be required to prove their identity before receiving funds by presenting valid, unexpired identification papers from a list of acceptable forms of identification. In addition, Recipients may be required to provide a Transaction tracking number, a personal identification number (or PIN), a "password", a "secret word", and/or another, similar identifier associated with their Transaction. You give Excel Currencies permission to store all such data, as necessary to provide the Service. 3. Delivery Policy. Excel Currencies is not responsible for the delivery of any physical goods and services where this service is used to pay invoices or with transactions involving a third party. 4. Commercial Transactions. You should not use the Service to send money except to people that you know personally or through valid business dealings. Excel Currencies are not responsible for, the quality, safety, legality, or delivery of goods or services that you pay third parties for using the Service. You acknowledge that any use of the Service to pay for such goods and services is at your own risk. If Excel Currencies discovers you are using the Service to purchase goods or services, we reserve the right to cancel your transaction(s). 1. In general, Excel Currencies do not provide refunds unless we did something wrong, to be decided by the directors of Excel Currencies. Excel Currencies will consider your written request for a refund (submitted by email, fax, or Royal mail using the contact information at the bottom of this User Agreement) if you provide the Sender's full name, address, and phone number, together with the Transaction tracking number, Transaction Amount, and the reason for your refund request. If we do provide you a refund, we will only refund the Transaction Amount if the Transaction was not paid out to the Recipient (in which case we will also cancel your pending Transaction); otherwise, we will only refund the Service Fee. Refunds will be credited to the same Payment Instrument used to pay for the Transaction. Refund amounts will not be adjusted to account for changes in the value of the U.S. dollar or foreign currency from the time your Transaction was submitted. 28. You may notify us in writing to info@excelcurrencies.com or by hardcopy to Excel Currencies, Excel Currencies, Enterprise House, 8 Essex Road, Dartford, Kent DA1 2AU that you no longer want to be a client. Your status as a client may be terminated by Excel Currencies at any time but these terms shall continue to apply to any contract or Trade then in place. 29. Excel Currencies may terminate all or any part of these terms or any contract or Trade then in place (without incurring liability to the client, or any other party, for any loss, costs, expenses or damages incurred as a result thereof) without notice, if the client is in breach of any of these terms or has breached any obligation under any contract between Excel Currencies and the client. 30. Excel Currencies may also terminate this agreement, a contract, or Trade, at any time, without notice, if it reasonably believes that the client is unable to fulfill its obligations under these terms. Any loss, costs, damages or expenses incurred by Excel Currencies as a consequence of such termination shall be charged to the client and recovered in the manner set out in these terms. 31. Excel Currencies may also terminate any Trade or Trade Request on the request or instruction of any law enforcement agency, any regulatory body or any other authorised person. All or any funds then in the control of Excel Currencies, whether or not held to the benefit of the client, may be held or transferred at the request or requirement of such body or person, or as may be ordered by a court or other authorised body. You are acting as principal not agent or representative (other than through an Authorised Nominee or as a corporate officer if the client is a corporate entity where identification evidence of the officer may be sought and must be provided). If the client is acting through an accountant, solicitor or financial adviser (an Authorised Nominee), then Excel Currencies reserves the right to seek information relating to the identity of the originating client both before acceptance of a client and at any time thereafter. Excel Currencies may, at their discretion, accept appropriate identification from any persons or bodies that have themselves complied and are obliged to comply with the Money Laundering Regulations 2007 and are prepared to provide the appropriate confirmation of identity as provided there under. 33. Excel Currencies shall use its reasonable endeavours to complete a Trade once accepted. However, Excel Currencies shall accept no liability for reasonable delay or Force Majeure. 34. In any event, Excel Currencies shall not be liable for any direct, indirect or consequential loss or damage as a result of any Trade, whether the loss, damage, expense or cost incurred was due to the negligence or delay of Excel Currencies or otherwise. Excel Currencies shall not be liable for any loss incurred as a result of any reasonable delay in the onward transmission of any monies to the client if that delay could not be reasonably avoided by Excel Currencies. Excel Currencies shall not be liable for the acts or omissions of any third parties upon whom it relies to complete Trades. 35. In setting out its responsibilities and any liability expressed hereunder, Excel Currencies does not attempt to limit or exclude its liability for death or personal injury resulting from its negligence or for any damage or liability incurred by the client (or any third party) as a result of fraud or fraudulent misrepresentation by Excel Currencies. Excel Currencies shall not be liable for loss of profits, loss of business, depletion of goodwill and/or similar losses, loss of anticipated savings, loss of goodwill, loss of contract, loss of use, loss or corruption of data or information or any special, direct, indirect or consequential or pure economic loss, costs, damages, charges or expenses. In any event, save as expressly set out above, Excel Currencies's total liability in contract, tort (including negligence or breach of statutory duty) misrepresentation, restitution or otherwise arising in connection with the performance or contemplated performance of a Trade, shall be limited to the sums paid or payable by the client for that particular Trade or the sum of Â£25,000 whichever is the lesser sum. 36. In compliance with the Data Protection Act Excel Currencies collects, uses and processes personal information for the purposes of performing the services requested by the client. Excel Currencies may also use this information for promoting the same or similar services to the client unless it receives, in writing, confirmation from the client that it does not wish to receive such similar service information in the future. 37. Excel Currencies does not provide financial advice and is not a regulated entity under the Financial Services & Markets Act 2000 (Regulated Activities) Order 2001. When seeking a trade or entering into any contract with Excel Currencies you rely solely on your own judgment. Excel Currencies does not provide any advice in regard to foreign exchange or foreign exchange markets and accepts no responsibility or liability for the accuracy or completeness of any information given in this regard and assumes no duty of care in relation to the client in respect of any transaction. The client uses its own judgment to make Trade requests. Excel Currencies does not offer financial advice on any matter including, without limitation, the merits or otherwise of any currency transactions, on individual taxation, or foreign exchange markets. 38. Excel Currencies will not be liable to the client for any loss, costs, damages or expenses which arise as a result of currency fluctuations between the date when the Trade is accepted and the Value Date or the date of delivery, whichever is the later. 39. Excel Currencies will not be liable for any glitches, pricing issues, downtime, miscalculations or any other problems with the Online System that may result in Clients being quoted incorrect rates or amounts by the system. Excel Currencies reserves the right to cancel or amend any such transactions resulting from any problems whatsoever with the Excel Currencies Online System. 40. If Excel Currencies is obliged to issue court proceedings or other debt recovery action in order to recover any loss, costs, damages or expenses incurred by Excel Currencies as a result of your failure to comply with these terms or any contract or Trade made hereunder, it shall be entitled to recover from the client, on an indemnity basis, any legal or other administrative expenses it so incurs. You acknowledge that this terms and conditions shall be entered into electronically, and that the following categories of information ("Communications") may be provided by electronic means: (i) this User Agreement and any amendments, modifications or supplements to it; (ii) your records of transactions through the Service; (iii) any initial, periodic or other disclosures or notices provided in connection with the Service, including without limitation those required by English Law; (iv) any customer service communications, including without limitation communications with respect to claims of error or unauthorized use of the Service; (v) any other communication related to the Service or Excel Currencies. The Service does not allow for Communications to be provided in paper format or through other non-electronic means. You may withdraw your consent to receive Communications electronically, but if you do, your use of the Service shall be terminated. In order to withdraw your consent, you must contact us using our contact information at the end of this User Agreement. In order to access and retain Communications, you must have: (i) an Internet browser that supports 128-bit encryption, such as Netscape Navigator version 4.0 or above or Internet Explorer version 4.0 or above, (ii) an e-mail account and e-mail software capable of interfacing with Excel Currencies's e-mail servers, (iii) a personal computer, operating system and telecommunications connections to the Internet capable of supporting the foregoing, (iv) sufficient electronic storage capacity on your computer's hard drive or other data storage unit, (v) a printer that is capable of printing from your browser and e-mail software. In addition, you must promptly update us with any change in your email address by updating your profile at the Excel Currencies website . 41. These terms represent the entire agreement between the parties and supersede any previous arrangement, understanding or agreement between them relating to the subject matter. 42. Each party acknowledges that in entering into this agreement it does not rely on any statement, representation, assurance or warranty of any person other than as expressly set out in this agreement. 43. Nothing in these terms shall limit or exclude any liability for fraud. 44. No reliance may be placed on any oral statements made either before or after entering into these terms. No reliance should be made on any statements made on the Excel Currencies website, which may be out of date. Excel Currencies accepts no variations to these terms and conditions proposed by clients save those expressly agreed by a Director of Excel Currencies in writing. Excel Currencies may vary the terms of this agreement by posting notice of such variations on its website and and such changes shall be binding from the date of such notice. 45. If any provision of this agreement is found by any court or other authority of competent jurisdiction to be invalid, illegal or unenforceable that provision or part provision shall, to the extent required, be deemed not to form part of these terms or any contract or Trade transacted there under, and the validity and enforceability of the other provisions of these terms shall not be affected. 46. The client may not, without the prior written consent of Excel Currencies, assign, transfer, charge, mortgage or deal in any other manner with all or any of its rights or obligations under these terms. 47. All communications in regard to any Trade shall be in the English language. 48. A person who is not a party to these terms shall not have any rights under or in connection with them. 49. Excel Currencies may record telephone conversations with clients and, in doing so, complies with the Telecommunications (Lawful Business Practice) (interception of communications) Regulations 2000. Excel Currencies keeps these records in order to establish the existence of facts, or to ascertain compliance by its employees with its practices and procedures; or for the purposes of preventing and detecting crime. All reasonable efforts are made to notify every person who is being recorded that recording is taking place. - As may be required by law, court order or any governmental or regulatory authority. 51. These terms and any Trade or contract made pursuant to these terms and any dispute arising hereunder shall be interpreted in accordance with English law and all disputes shall be heard in the exclusive jurisdiction of the courts of England and Wales. On occasions the Excel Currenciessystem may not allow Excel Currencies to perform currency conversions due to technical problems and Excel Currencies takes no responsibility for adverse exchange rate movements that may occur during these outages. Excel Currencies reserves the right to amend any exchange rate or total amount payable to a client provided by the online system should there be any technical or other fault regarding the calculation of exchange rates or amounts on the said system.